The maritime disaster laboratory performs researches on ocean wave, storm surge and tsunami disasters, and on their prevention and reduction for human safety in coastal zones. Japan’s coastline is roughly 36,000 kilometers and the coastal areas of Japan are approximately 10 % of the total land area of Japan. 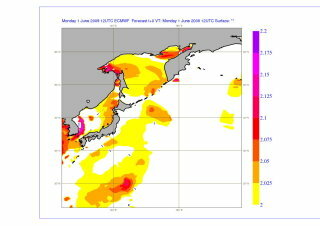 Therefore, it is important to learn, know and reduce the coastal disasters in Japan. The following research projects are currently active in our laboratory. The influence of global climate change due to green house effects on the earth environment must be considered in impact assessment, mitigation and adaptation strategies for future our society. Coastal areas are especially vulnerable to changes in wave activity and extreme weather events, whether in terms of loss of human life and property or in terms of erosion of coastlines and coastal structures. Global warming has an influence on extreme weather phenomena such as typhoons and hurricanes. The ocean surface momentum transferred from wind to ocean is proportional to the square of wind speed. Therefore, stronger tropical cyclones will cause unexpected high waves and storm surges, and this is expected to occur by the end of this century. Our research group predicts typhoon characteristic changes, storm waves, and storm surges under the climate change environment for future coastal environment. The fourth IPCC report (IPCC, 2007) lists sea level rise as a consequence of global warming, and this is an important issue for human activity near the coastal zone. This sea-level rise has been observed at a rate of 1.7 mm/yr from 1870 to 2004 has significantly accelerated during the last ten years. However, sea level rise is a static consequence of climate change – ocean waves and storm surges are dynamic components of climate change. 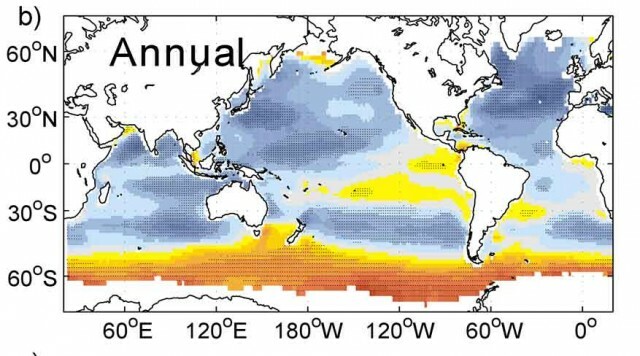 These dynamic phenomena will need to be taken into the consideration for coastal disaster prevention and reduction, if future extreme weather events become stronger than those in the present climate. Furthermore, the future reliability of coastal structures and coastal beaches depend on ocean wave climate changes. 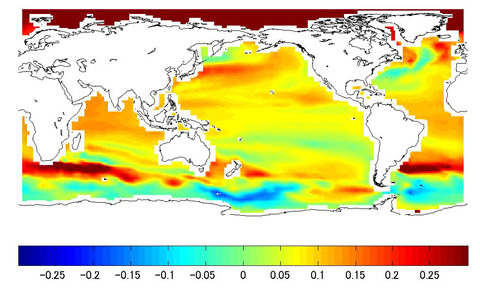 Our research group predicts ocean wave climate under the climate change scenario. Change ratio of sea level rise from the present to future climate bases on SRES-A1B Scenario. Change ratio of averaged wave height from the present to future climate bases on SRES-A1B Scenario. Coastal hazards are expected more severe due to climate change. The activity of tropical cyclone (typhoon) in the western North Pacific give severe damage such as typhoon Haiyan landed on Philippines in 2013. The role of mangrove for coastal damage reduction was observed in the 2004 Indian Ocean Tsunami and “green infrastructure” has been implemented in the southern countries. We study integrated system of coastal hazard reduction by the green infrastructure (specially mangrove). The development of downscaling of typhoon, waves and surges and fluid force reduction by the green infrastructure is a challenging topic. We also study combination of green and gray infrastructure considering life cyclone cost (LCC) targeting Philippines. 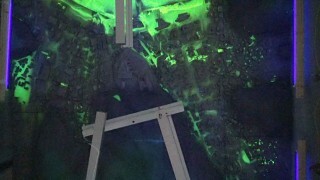 At 14:46 local time on March 11, 2011, a magnitude 9.0 earthquake occurred off the coast of northeast Japan. This earthquake generated a tsunami that struck Japan as well as various locations around the Pacific Ocean. We have restarted tsunami research from a new point of view based on the new knowledge gained from the Tohoku Earthquake Tsunami. 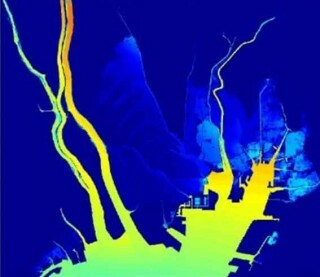 We expect to apply the outcome of this project to assumed Nankai-Tonankai earthquake tsunami which is highly expected to occur within 50 years in the eastern part of Japan. With the participation of researchers from throughout Japan, joint research groups conducted a tsunami survey along a 2000 km stretch of the Japanese coast. 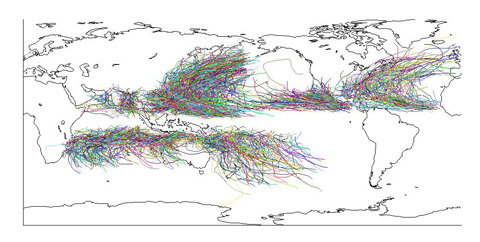 More than 5300 locations have been surveyed to date, generating the largest tsunami survey dataset in the world. 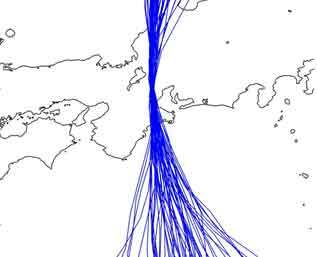 We are currently analyzing the dataset to understand this phenomena from scientific and engineering points of view. 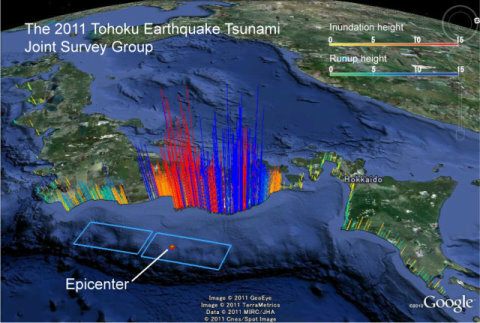 The 2011 Tohoku Earthquake Tsunami Joint Survey Group (2011) Nationwide field survey of the 2011 off the Pacific coast of Tohoku Earthquake Tsunami, Journal of Japan Society of Civil Engineers, Series B-2, Vol.67, No.1 pp.63-66. 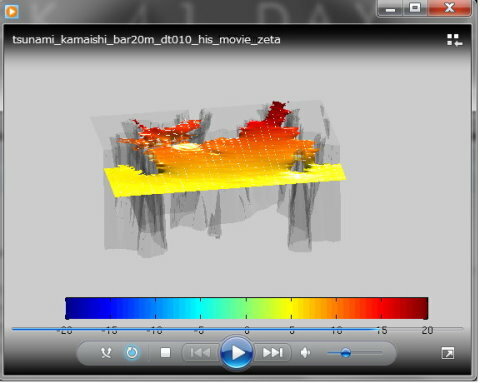 Mori, N., T. Takahashi and The 2011 Tohoku Earthquake Tsunami Joint Survey Group (2012) Nationwide post event survey of the 2011 Tohoku Earthquake Tsunami, Coastal Engineering Journal, Vol.54, Issue 1, pp.1-27. 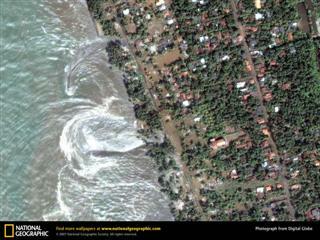 The tsunami had been modeled by the shallow water equation based on the long-wave assumption for an irrotational fluid. 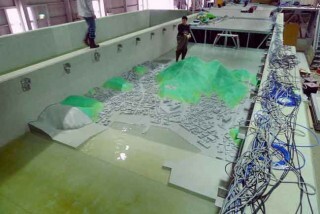 The survey and analysis of the Tohoku Earthquake Tsunami gave us unexpected tsunami behavior which lies outside of conventional tsunami modeling. 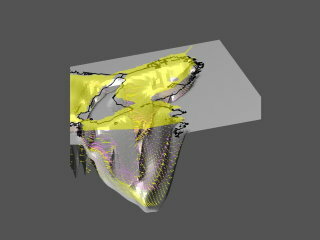 We have started to develop new type of numerical models for tsunami propagation and inundation based on adaptive mesh refinement, quasi 3D model and full 3D model, respectively. The 2004 Indian Ocean Tsunami renewed global interest in tsunami hazard assessment, and the 2011 Tohoku Earthquake Tsunami has accelerated the progress in tsunami hazard research. An accurate assessment of tsunami hazards and quantification of the uncertainty associated with the assessment are essential to mitigate and control disaster risk exposures effectively from a tsunami risk management perspective. One of the major challenges for tsunami impact assessment is to predict the earthquake source characteristics of future tsunamigenic events (e.g., location, magnitude, and geometric slip distribution), and then to quantify the uncertainty associated with the variability in earthquake rupture (tsunami generation), tsunami propagation, and tsunami inundation processes. In particular, tsunami generation is influenced by the complex and nonlinear interaction of earthquake generation properties, while tsunami propagation, affected by changes in sea bathymetry, is generally considered as a ‘solved’ problem. Mori, N., K. Goda and D.T. Cox, Recent process in Probabilistic Tsunami Hazard Analysis (PTHA) for mega thrust subduction earthquakes, In Reconstruction and Restoration after the 2011 Japan Earthquake and Tsunami: Insights and Assessment after 5 years, Springer, in press. Storm surge is a transient abnormal rise of sea level induced by two factors: one is suction force due to air pressure depression and the other is drift shear force due to strong wind speeds. Storm surge can lead to severe inundation and damage to coastal areas, and the accompanying storm waves can lead to further damage to storm barriers and amplified inundation disasters. Our research group develops multi-physics model of coupled 2D and 3D storm surge model and wave model to predict coastal disasters. Freak wave is sometimes called as Rogue wave and gives massive impact to ocean structures, oil platforms, ships, and so on. However, the occurrence mechanisms and probability are still unknown. This research project started in 1990 and is still underway. The extreme waves such as freak waves are unsteady and inhomogeneous phenomena. It is difficult to measure such phenomena by in-situ measurements. 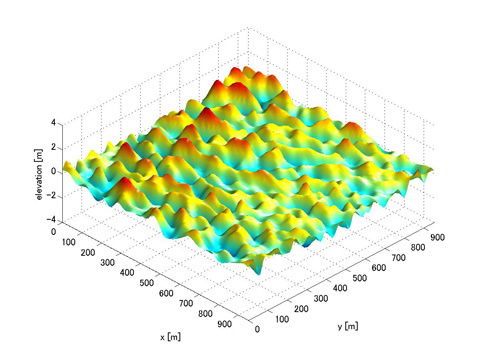 Therefore, a new measurement technique for spatial wave profile is expected to be developed. 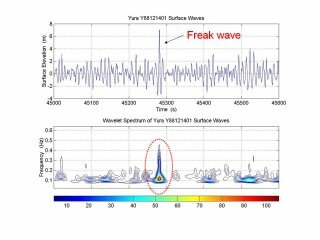 We are currently developing a new type of X-Band Radar for the freak wave measurements. Example of measured sea surface elevation in 1km X 1km area. An ultimate factor of coastal disaster is momentum mixing and transfers at the atmospheric and ocean interface. Wind energy transfers into momentum of ocean currents and waves, heat, vapor and gas transfer at the atmosphere-ocean interface. The strong momentum transfer into the ocean causes storm waves and storm surge. 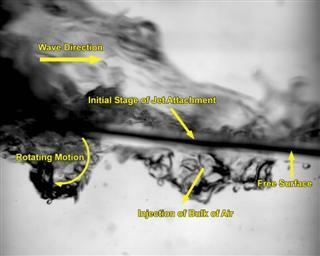 This project investigates analytical, physical and numerical modeling of the momentum and gas transfer process at the air-water interface and developing their engineering application.